8 weeks to Get Fit, Lose Weight and Feel Great. You to workout at your own pace. Can be adapted for all fitness levels from absolute beginners to advanced fitness levels. Work hard get great results while having great fun. 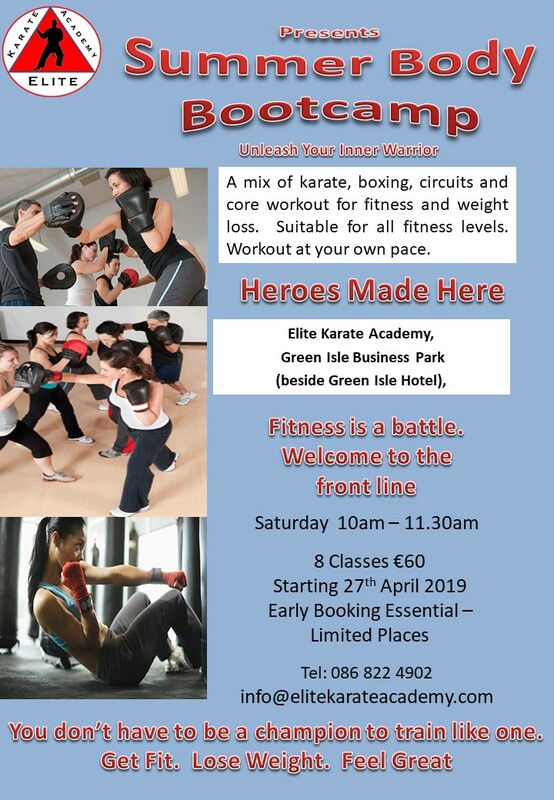 Starting Saturday 10am-11.30am 27th April, then 4th May, 11th May, 25th May, 1st June, 8th June, 15th June and 22nd June 2019.